Stepping up to wood or want more bat speed? The Model BB71 is Phoenix's lightest pro bat, with the largest length-to-weight difference. 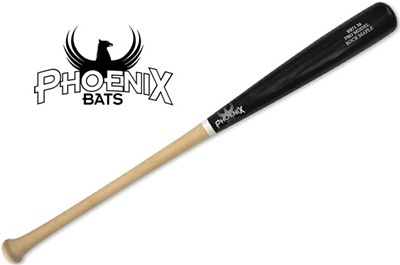 This bat has a 2-1/2" slightly weighted barrel and a medium flared 15/16" handle. The weight drop is -3. Typical user: anyone wanting a solid bat, but who is concerned about weight. Available in ash or maple (add $25), in the variety of colors shown below. Every Phoenix Bat features free laser-engraved personalization!